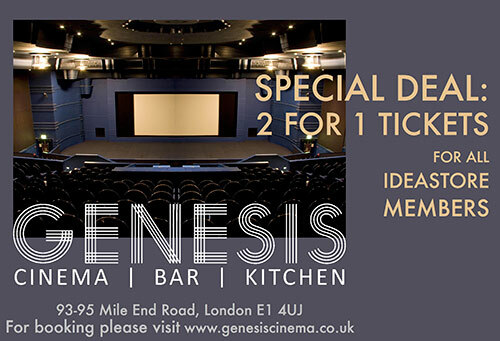 Idea Store members get a 2 for 1 ticket offer for films at the east end's historic Genesis Cinema..
Just show your library or Idea Store card and a form of identification when collecting tickets at the box office. Arthouse cinema showing blockbuster and independent films in a renovated 19th-century building. Closest stations are Whitechapel and Stepney Green.